It was the loss to suicide of four friends within two years that inspired Justin Butcher and Harvey Brough to create “Music on the Mind”. 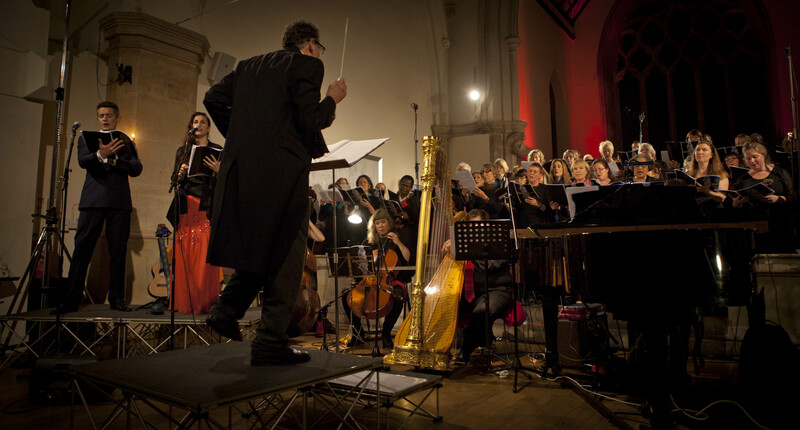 A new choral work, drawing on texts by “unquiet minds”, including those of Sylvia Plath and John Clare, it was performed for the first time at St Luke’s, Holloway, in November. I was in the pews and deeply moved. I think it was the sight of members of the Maudsley Hospital’s Mind and Soul Choir shouting “KICK IT DOWN! KICK IT DOWN!” that thrilled me most. Comprised of staff and service users, their friends, family and carers, the choir was the beating heart of the performance. As they delivered with gusto this refrain (part of a choral adaptation of “An Unquiet Mind”, Kay Redfield Jamison’s memoir of manic-depression) they were both deliberate – eyes firmly fixed on their conductor – and free, exhilarated.